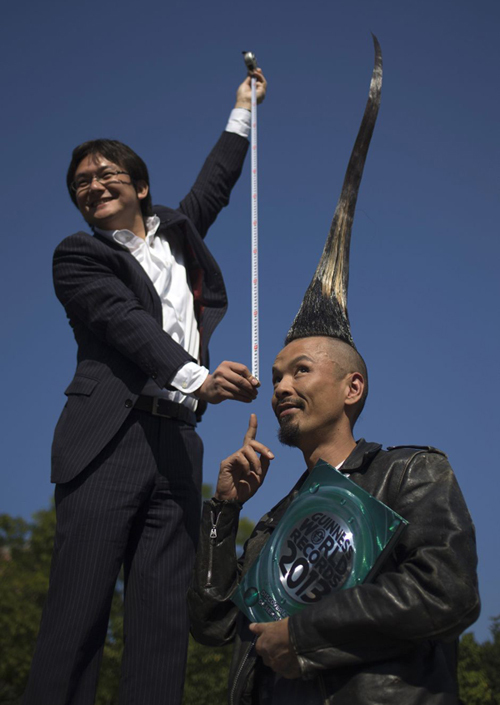 Kazuhiro Watanabe has gained himself a Guinness World Records title after being declared as the man with the tallest Mohawk worldwide. According to Associated Press (AP), it took Watanabe 15 years to grow his more than 1 meter-long hair. He showed up in Washington Square Park to boast of his hair’s latest edition, which took two hours and a full can of gel to style.